Skin. It’s the largest organ in the body. It is responsible for ¼ of the body’s detoxification each day. When the blood is full of toxic materials, your skin will surely reflect negatively with problems. Pretty important, don’t you agree? 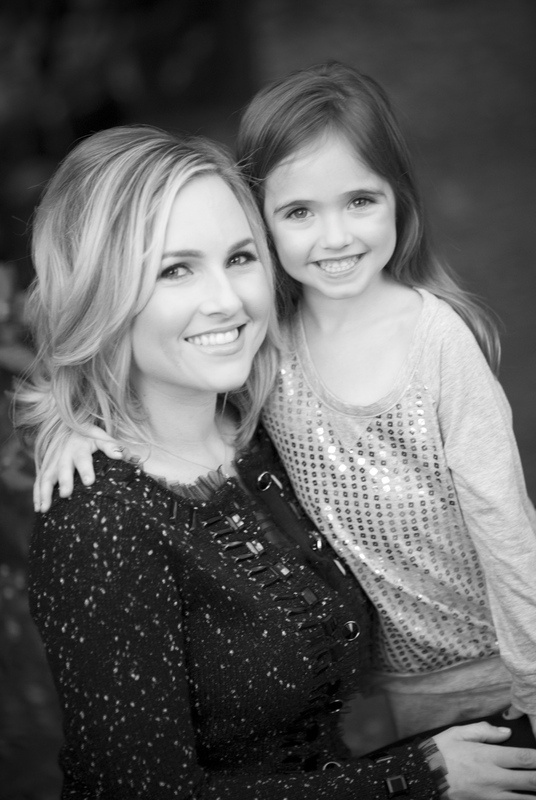 Well let me fill you in on a little secret to help eliminate toxins and keep your skin looking fresh(! )…dry skin brushing. The practice of dry skin brushing may be old news to some; obviously you have held on to a classic piece of beauty advice. With all the overwhelming products to choose from and the hype in today’s “quick-fix” market, I feel it is important to re-introduce this basic beauty process. Dry brushing not only is a great way to maintain healthy skin, but also helps you to maintain a healthy body. * Assists the lymphatic system in removing toxins from the body to promote healthy and glowing skin. * Helps to exfoliate dead skin cells; which can improve skin texture and cell renewal. * Lessens the appearance of cellulite by increasing blood flow and circulation. * Allows for proper absorption of nutrients by eliminating clogged pores. Dry skin brushing is probably one of the simplest and cheapest ways of promoting overall health. 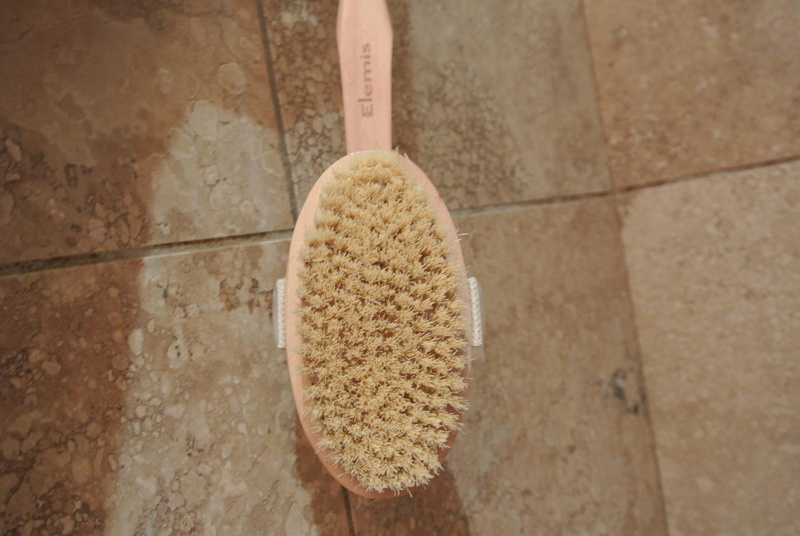 I purchased a new Body Detox Skin Brush by Elemis, at Nordstrom last week. It is important to find a dry brush with natural bristles; some can be made from synthetic material, which can be toxic. Elemis uses natural cactus bristles. Dry skin brushing should be performed once a day. I prefer to do it each morning before my shower. If you are feeling sick, try twice a day to build up your immunity and until you feel better. Begin brushing your skin in long sweeping strokes starting from the bottom of your feet upwards, then from your hands towards your shoulders, and over your stomach area in an upward direction. Always brush towards your heart. I have the most sensitive skin ever and dry skin brushing doesn’t irritate my skin whatsoever. Commit to dry brushing for 30 days and be ah-mazed by the results. It is recommended to wash your dry brush once a week, with hot water and mild soap, to keep it clean and sanitized. Hang dry. Also, don’t forget to hydrate with a good quality lotion that will nourish the skin afterward. 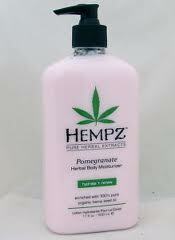 I use Hempz Pomegranate Herbal moisturizer found here. This lotion is enriched with 100% pure organic hemp seed oil. It smells so yummy! It absorbs well and doesn’t leave a greasy residue on your skin. 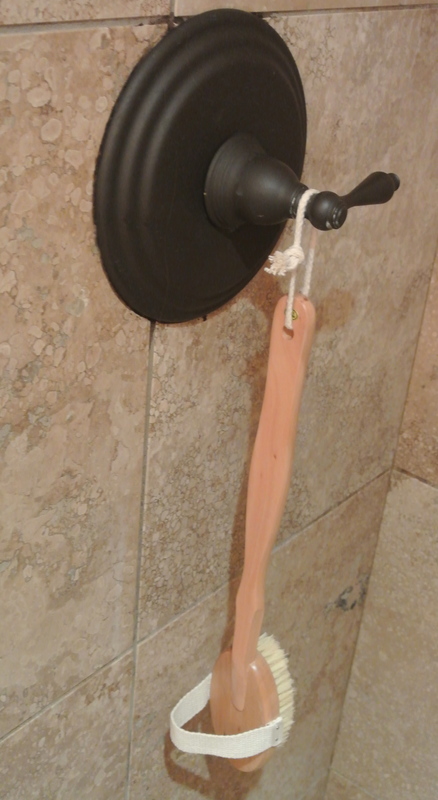 Let me know when you start your new dry skin brushing regimen and keep me posted on your results.